GO OVER THE EDGE CHARLOTTE! Join The NASCAR Foundation and the NASCAR Hall of Fame Foundation as we work to build a better future for youth across our community through healthcare and education services. 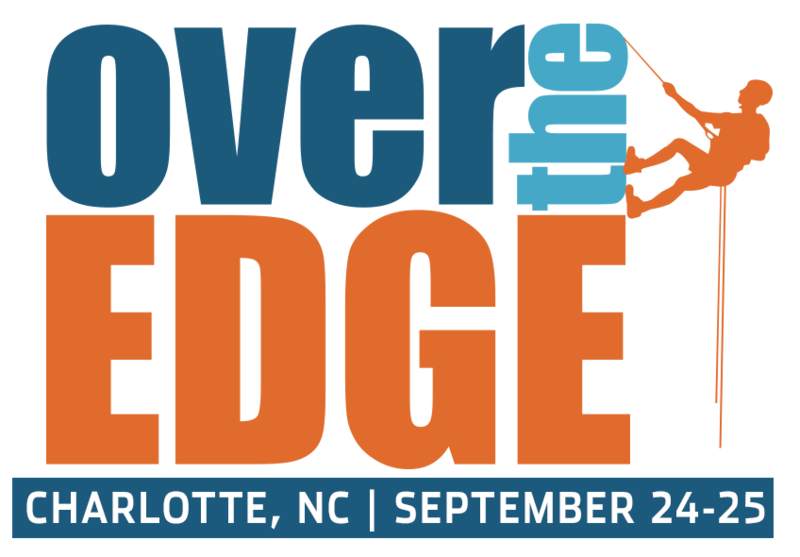 You're invited to take part in our SECOND ANNUAL Over The Edge Charlotte - a signature fundraising event dedicated toward advancing that work - whether you are a thrill seeker, community advocate or every day hero. Catch your breath, step up to the edge, and rappel 10 stories down the Embassy Suites Charlotte Uptown. The first 130 individual fundraisers to raise a minimum of $1,000 will earn a spot to go Over The Edge on September 25th 2019! Click here to sign up. The funds raised will be shared equally between The NASCAR Foundation and the NASCAR Hall of Fame Foundation - strong, 501 (c) 3 non-profit partners that are equally focused on common goals of expanding learning opportunities for children and helping them live happier, healthier lives. Sponsorship Opportunities are available! Contact Samantha Spilde sspilde@nascarfoundation.org (386) 310-5740 for more details. You, your boss, your friends, and your co-workers can rappel Over the Edge to bring awareness and help provide education and healthcare services to those children in our community who need it most! The ideal "Champion Edger" is ANYONE - at any age, any ability - willing to be brave enough to rappel "Over the Edge" for two great causes! 2. SPONSOR - NASCAR, Inc.
Watch 2018 Over the Edge Charlotte Recap!